Mid autumn festival is coming, Event living in a busy city, but people in Vietnam always spend time to enjoy the mid autumn festival. There are many destination to visit on Mid autumn festival in north of Vietnam, but underneath are the most popular ones. Far away from bustle city, Moon Garden Homestay is an ideal place to enjoy a real traditional Mid autumn festival. Coming to Moon Garden Homestay on this occasion, you will have chance to participate on many meaningful activities. Cooking class with the moon cakes are the very first activity of the series attractive activities. At night, you also have chance to join the festival for local children: prepare the fruit stray and donate gifts, cakes and candies for children. It would be a nice chance to know more about local lifestyle and the tradition of Mid autumn festival. Tuyen Quang, 165km away from Hanoi, has been better known for its historical relics of Hong Thai Communal House and Tan Trao banyan tree. People also call the locality as home to beautiful women. During last weekend the province had no rooms left to serve guests as well as tourists who arrived to enjoy the two-day Mid-Autumn Festival. Participants to the event joined in a lantern making contest, fruit tray decoration contest, a music show featuring artists from Laos, Korea and China, a beer festival and Miss Tuyen Quang beauty pageant. In fact, budgets and ideas to make the festival a brilliant event of great interest were from local residents. Some villages have even spent over VND100 million to make lanterns and turn them into attractive artworks. After making lanterns, people displayed them on some main streets in downtown Tuyen Quang. 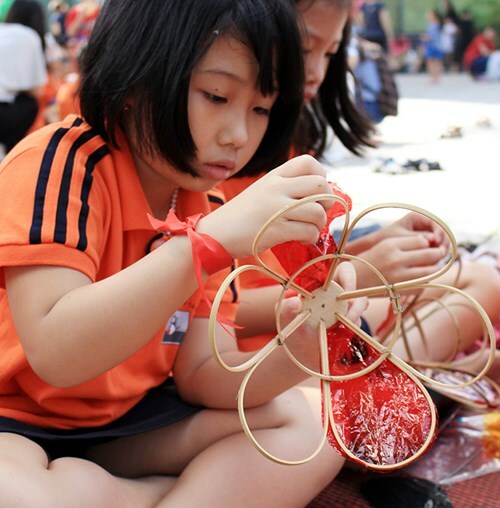 According to locals, it was not about the value of winning the contest but a great chance to work together to make lanterns to enhance friendship and team-building spirit. Prior to the festival, local people held numerous Mid-Autumn’s activities nightly for ten days. A highlight was a parade featuring hundreds of lanterns in different shapes and sizes on the street. The festival became a large-scale event in Tuyen Quang thanks to initiatives of locals nine years ago. At first some households in Tan Quang Ward made models of giant lanterns to celebrate the Mid-Autumn Festival. Then, other wards and villages nearby followed suit and that has led to a magnificent celebration nowadays. Among the beautiful and attractive destinations to visit on Mid Autumn festival, Hang Ma Lantern Street is the first destination that tourist and the young think about when Mid Autumn festival is coming. 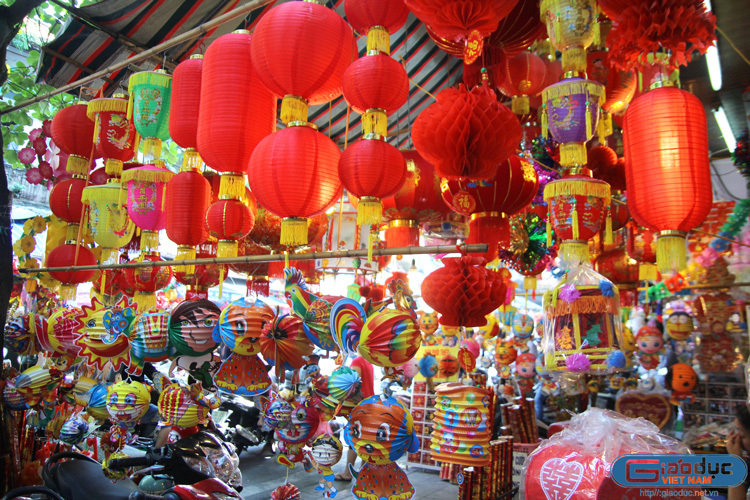 In recent years, Hang Ma is well known with the name of "Lantern Street" because along street is colorful lanterns, masks and variety kind of toys for children. Before the Mid autumn festival for about one month, many young people eagerly come to take photos and enjoy the joyful atmosphere of festival. On the day of the Mid-Autumn Festival, the Lantern Hang Ma street will become walking street, people come here have fun, sightseeing, enjoy the atmosphere of a traditional mid-autumn festival and learn more about the identities of many generations in this festival. Hanoi old quarter is also generally well-known as entertainment venue in central Hanoi each season of Mid autumn festival. 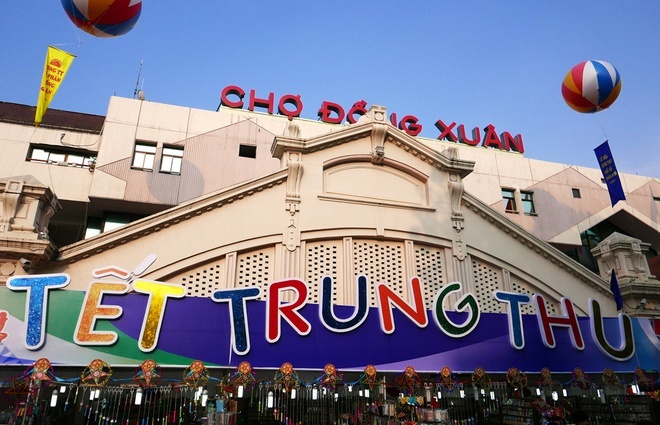 From the very first days of August in lunar calendar, all the streets of Hanoi old quarter become colorful with the toys and lantern like Hang Dao, Dong Xuan, Hang Buom… This is also the place holding the folk festivals, the taking photograph and the shopping center for every people. In recent years, the My Dinh stadium is the place that the young people usually choose to visit in Mid autumn festival. Airy, wide-area, away from populated areas, this is an ideal place to hold the activities of local people in Mid autumn festival. The most popular activity here is the lantern flying. 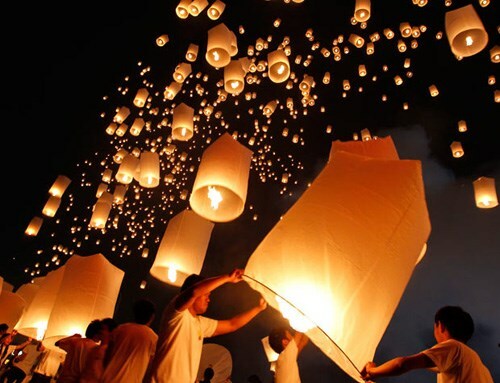 Coming here, you can easily buy a lantern, write down your wishes, burn the candle inside and see it fly to the sky. People said that the flying lantern is symbolized for dream, when the lantern flies up; it will help you to turn dreams into reality. Therefore, this activity becomes very popular activity in Mid autumn festival. Additionally, you can also come here to participate in traditional activities such as kite flying, or admire Unicorn dancing.